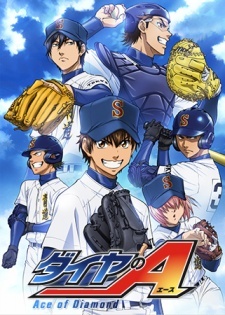 Here are my favorite picks for anime like Sound! 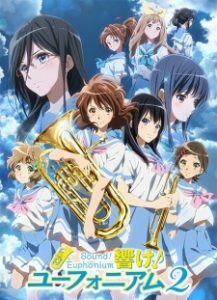 Euphonium 2. Keep in mind the list is in no particular order. Enjoy! 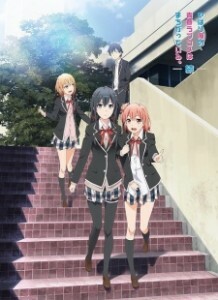 Yahari Ore no Seishun Love Comedy wa Machigatteiru. 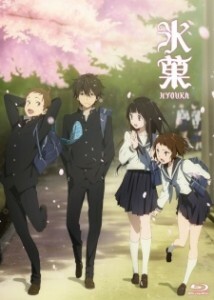 Zoku picks up immediately after the events of the first season, continuing the adventures of the Volunteer Service Club—the dispassionate Hachiman Hikigaya, the cheerful Yui Yuigahama, and the competitive Yukino Yukinoshita—as it dedicates itself to helping any student with issues that they may face. 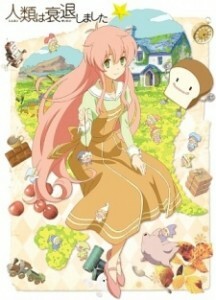 One day while riding the local train, Shizuku notices a strange cat sitting near her. Why would an ordinary cat ride a train? Curiosity may have killed the cat, but it can also seriously harm a young girl. 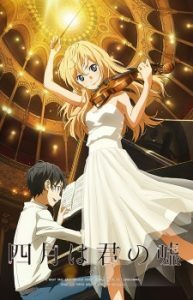 Shizuku decides to follow the mysterious cat to see where it goes, and soon stumbles upon an antique shop run by a violin maker named Nishi, the grandfather of the mystery boy who shares her taste in literature. Seiji and Shizuku soon become friends and while Seiji is sure of his dreams and how to follow them, Shizuku is still unsure of her own talents. However, when she sees a strange cat statuette, “The Baron,” in the shop, it seems as if that statuette whispers something to her, tugging at her heart and giving her the inspiration she so desperately needed. One voice pushes Shizuku further than she could have ever imagined, changing her life forever. Because of the constantly declining birth rates over many decades, human civilization is all but extinct. With only a few humans remaining, they survive in this post-apocalyptic world with what was left behind by the previous generations. 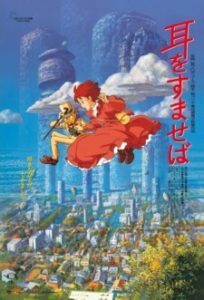 Earth is now dominated by fairies, tiny creatures with extremely advanced technology, an obsession with candy, and a complete disregard for human safety. Introverted classical pianist and top student Kaoru Nishimi has just arrived in Kyushu for his first year of high school. Having constantly moved from place to place since his childhood, he abandons all hope of fitting in, preparing himself for another lonely, meaningless year. That is, until he encounters the notorious delinquent Sentarou Kawabuchi. 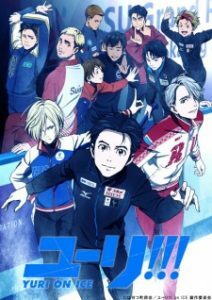 Reeling from his crushing defeat at the Grand Prix Finale, Yuuri Katsuki, once Japan’s most promising figure skater, returns to his family home to assess his options for the future. 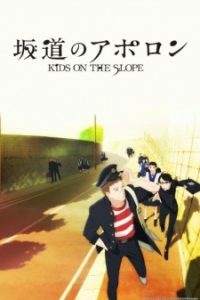 At age 23, Yuuri’s window for success in skating is closing rapidly, and his love of pork cutlets and aptitude for gaining weight are not helping either. Hirasawa Yui, a young, carefree girl entering high school, has her imagination instantly captured when she sees a poster advertising the “Light Music Club.” Being the carefree girl that she is, she quickly signs up; however, Yui has a problem, she is unable to play an instrument. When Yui goes to the clubroom to explain, she’s greeted by the other members: Ritsu, Mio, and Tsumugi. Although disheartened at Yui’s lack of musical know-how, they still try to convince her to stay to prevent the club’s disbandment. 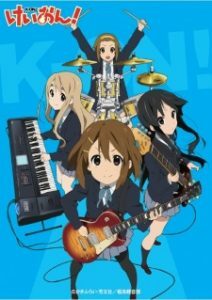 After playing Yui a short piece which re-ignites her imagination, they succeed in keeping their new member and guitarist.